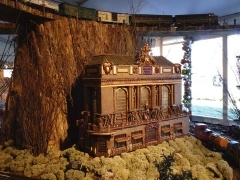 Every Christmas (from November to January), there’s an incredible model train show held in the Haupt Conservatory at New York Botanical Garden in the Bronx that incorporates dozens of famous (and not as famous) NYC architectural highlights, constructed from twigs, leaves, bark, berries and other natural materials by Paul Busse and his team at Applied Imagination at Alexandria, Kentucky. The show takes months to prepare and build – work for next year’s show begins almost immediately after this year’s is dismantled! 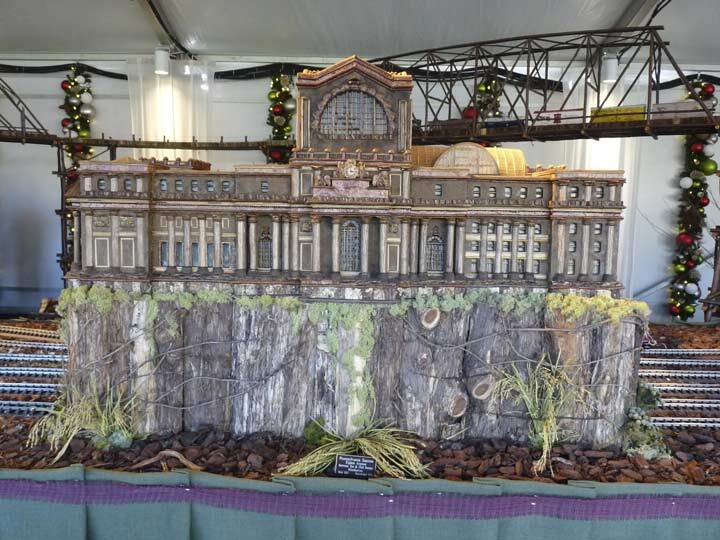 I visited the Train Show in January 2016, when it was about to close and pack up for the season. 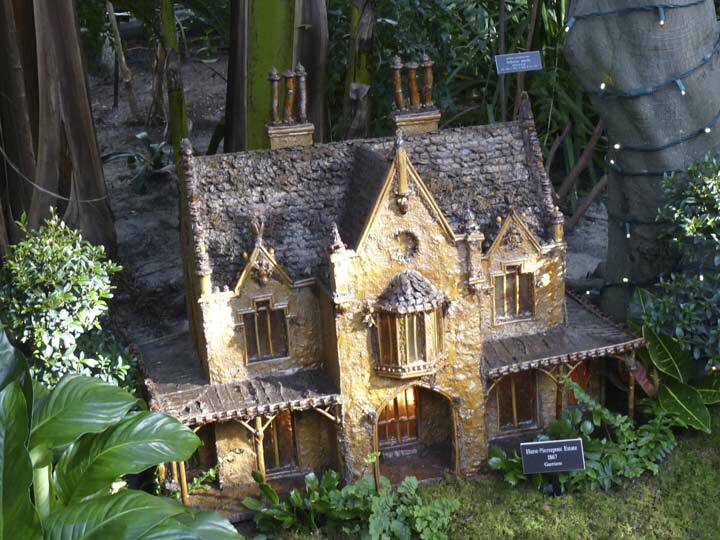 I made an effort to photograph each and every scale model in the show. 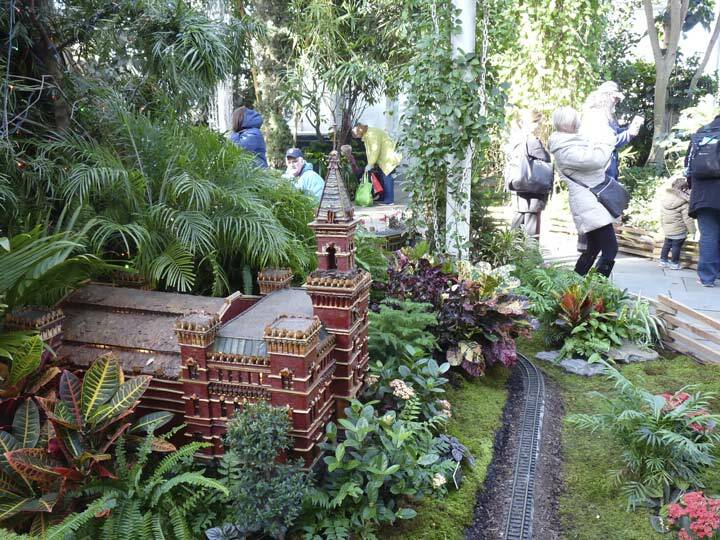 Though I was a scale model railroad buff as a kid, the fascination hasn’t carried on to middle age, and I respect the genre — but Forgotten Fans expecting me to rattle on about the merits of the miniature RR that NYBG uses here will be a bit disappointed. 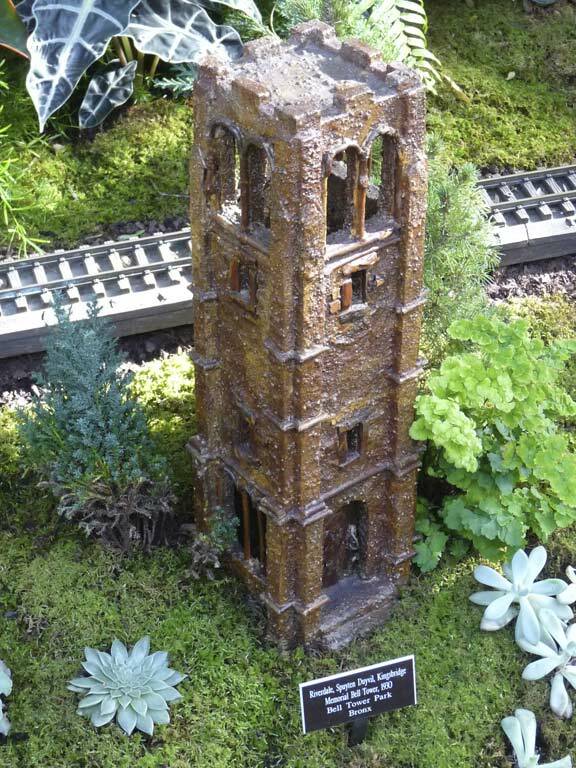 I can say that NYBG used G-scale, mainly used for outdoor shows; the G stands for the German word groß, “large.” For my indoor layouts as a kid, we used N-scale trains sold under the “Postage Stamp” brand, manufactured by scale model producer Aurora. I’m sure aficionados remember them. Anyway, we would periodically try to store our trains in the basement of our apartment house, and the neighborhood youth would reappropriate them for community use, putting an end to our own model train ambitions, but we’d always visit the truly impressive model train show held every year in a Bay Ridge basement; to my knowledge the Bay Ridge Model Railroad Club continued its annual exhibits up to 2013. If there is any further info, drop me a line at kevinjudewalsh@gmail.com. 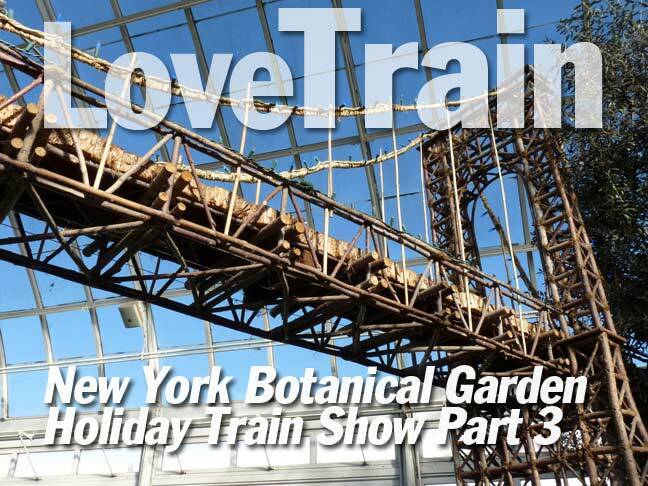 I have reported about the Train Show in Forgotten New York before, but the exhibits change every year. 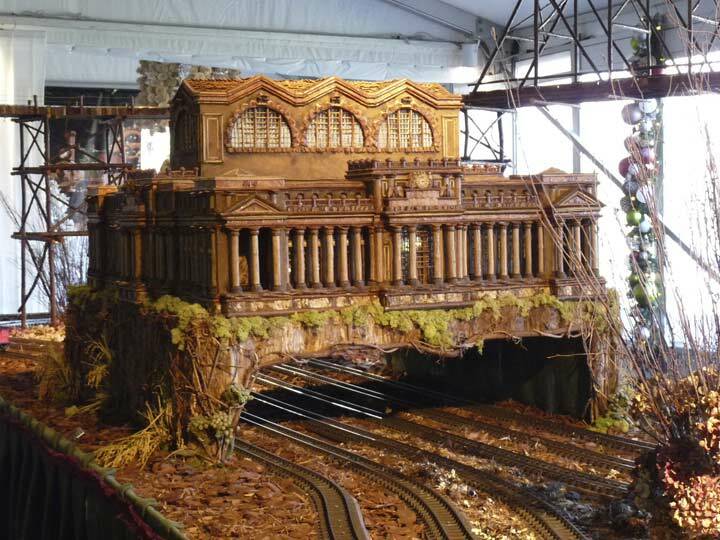 Busse and his crew, though Kentucky-based, show an incredible amount of meticulous research in putting together the show every year. 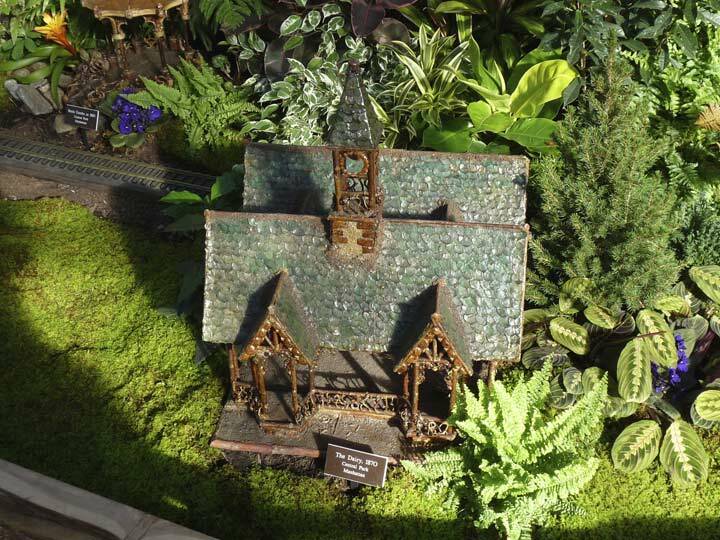 As we’ll see, the 2015-2016 show presented a some material in historical context, restoring in the exhibit building details that vanished long ago. 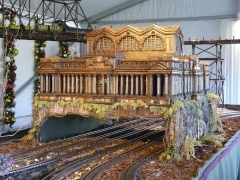 This year’s Train Show has opened its doors for the 2016-2017 season. Every year some of the scale models are swapped out for new material, so no two seasons are the same — if these FNY pages make your curious about the show, by all means attend this year, as you’ll see something not shown here. Radio City Music Hall, 6th Avenue and West 50th Street, needs no introduction, but I was privy to some Secrets of Radio City at Open House New York a few years ago. 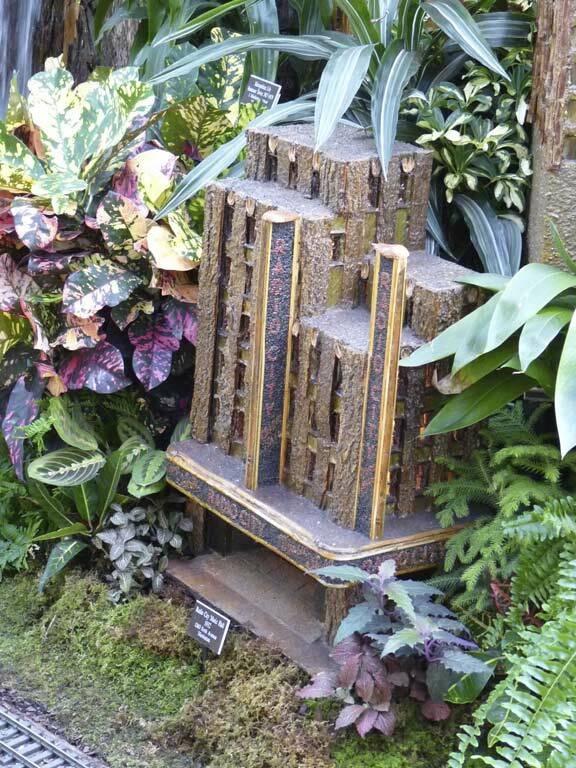 Donald Deskey, a name you’re familiar with from my frequent mentions of his modular NYC lamppost design, was also responsible for the “look and feel” of much of the Radio City interiors. The music hall opened December 27, 1932. Rockettes 1925-2016: The Rockettes, founded by theater impresario Roxy Rothafel, celebrated their 90th anniversary last year. As vast as Van Cortlandt Park is, it’s not the Bronx’ largest: at over 2700 acres, that title belongs to Pelham Bay Park, which stretches from the old Bronx neighborhood of Middletown on the south to the Westchester County line on the north, and from the Hutchinson River and its namesake Parkway on the west to Eastchester Bay and Long Island Sound in the east. Englishman Thomas Pell, a physicist, purchased a vast tract of over 9000 acres of land (most of what is now eastern Bronx) from the local Siwanoy Indians in 1654, and established the Manor of Pelham in 1666. Among the Siwanoy sachems who sold the territory is believed to be Wampage, who had killed Ann Hutchinson. About ten years later, Thomas’ nephew John Pell built the first of the three Pelham Manors that have occupied its site on 895 Shore Road in the middle of Pelham Bay Park. Descendants of the Pells occupied the manor houses for nearly 150 years, though a great deal of the property was sold off just before and after the American Revolution. By 1813 the remaining 233 acres was sold out of the Pell-Bartow family (Ann Pell had married John Bartow), but in 1836 John’s grandson Robert reacquired the property and built the mansion that is there today in 1842. NYC bought the house from the Bartows in 1888 and promptly allowed all the buildings on the grounds to deteriorate for the next 25 years. 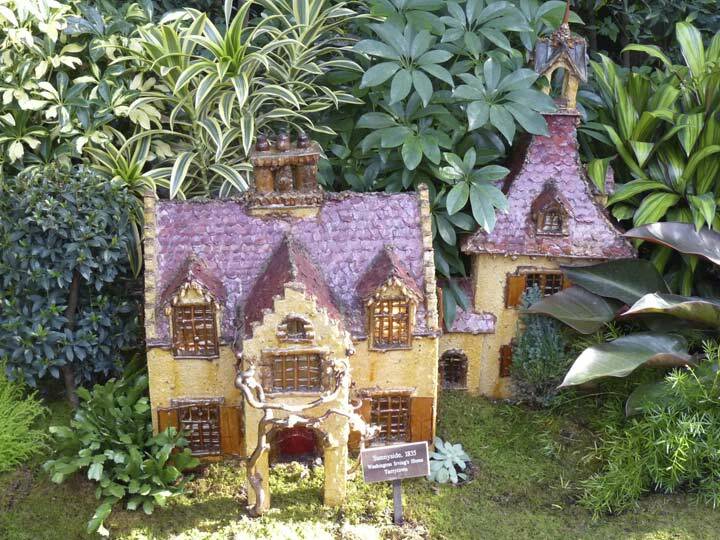 However, by 1915 the Pell Mansion undergoing a complete restoration by the new group, the International Garden Club, which continues to maintain the grounds, now numbering nine acres, as a public garden to this day. The Garden Club counts in its archives a letter from Oliver Cromwell to Thomas Pell written in 1658. 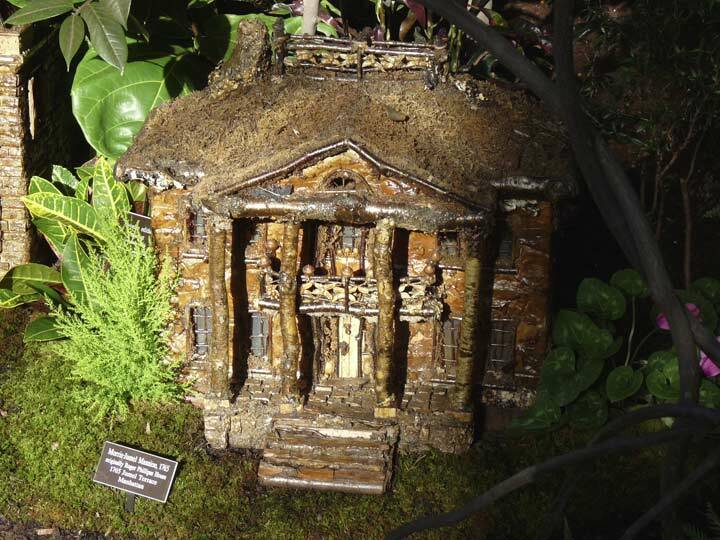 In 1946 the Mansion opened as a museum exhibiting furniture and painting from the 19th Century. 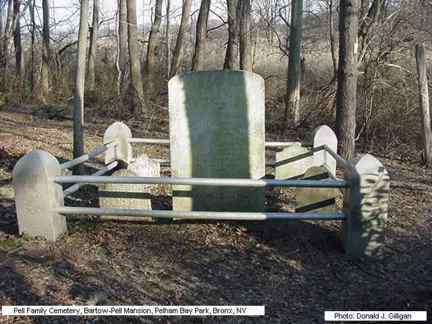 Walk around to the rear of the grounds and visit the Pell family’s ancient burial grounds, with charmingly etched stones of Joseph and Isec Pell and the professionally stonecut graves of Phoebe Pell and other family members; some of the stones go back to the earliest days of the Pell settlement here. Like Citifield, which replaced Shea Stadium, the New Yankee Stadium opened in 2009 atop former parking lots (and athletic fields) north of the old Stadium. 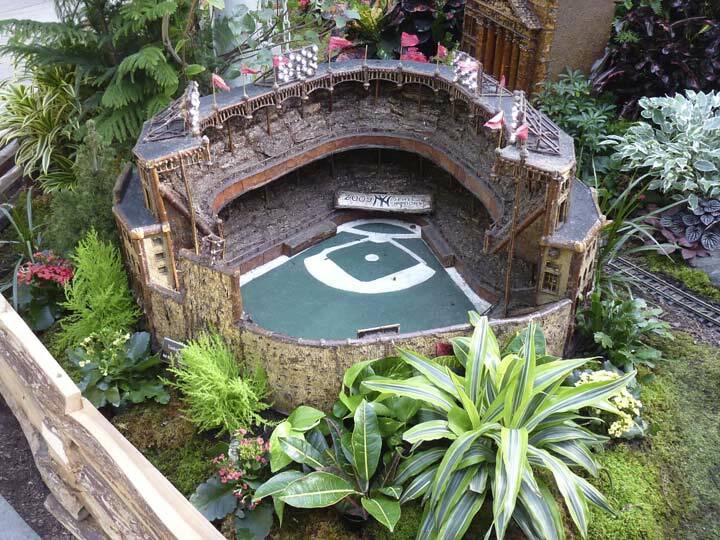 The Yankees promptly greeted their new home with World Championship #27, defeating the Philadelphia Phillies. Mayoral residence Gracie Mansion at East End Avenue and East 89th Street, Gracie Square and nearby Gracie Terrace in Carl Schurz Park are all named for Scottish shipping entrepreneur Archibald Gracie (1755-1829) who purchased land at what was called Horn’s Hook after the Revolutionary War and built Gracie Mansion there in 1799. He received guests such as President John Quincy Adams and French monarch Louis Philippe. Gracie sold his estate in 1823 and it was acquired by New York City in 1891; its 11 acres were incorporated into Carl Schurz Park. Fiorello LaGuardia was the first NYC mayor to use it as a residence when he and his family moved in in 1942. Philipsburg Manor in Sleepy Hollow (formerly North Tarrytown until 1996, renamed that year for the fictional locale popularized by Washington Irving in his short story about Ichabod Crane and the Headless Horseman). 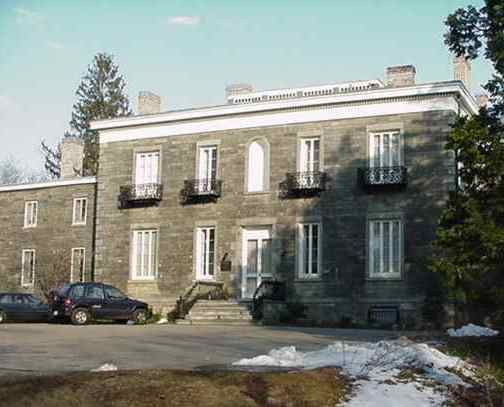 The manor was built in 1693 by merchant, Loyalist and slaveholder Frederick Philipse. 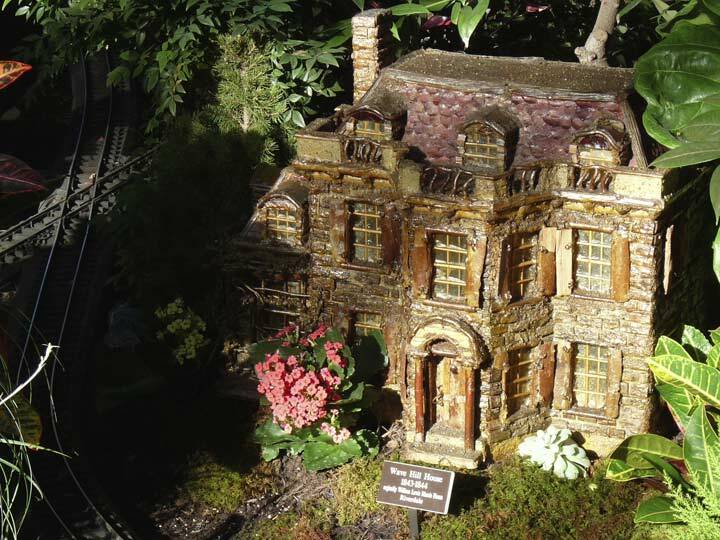 The Wave Hill Gardens‘ centerpiece is the imposing mansion, also known as Wave Hill, built in 1844 from locally quarried stone for William Lewis Morris. One of its large, sun-drenched rooms was an armor hall built by zoologist/historian Bradford Dean, curator of armament exhibits at the Metropolitan Museum and also of reptiles and fishes at the American Museum of Natural History in the early 1900s. Don’t miss the mural by designer/author Maria Kalman depicting the grounds in the Perkins Visitors Center; art exhibits are a Wave Hill staple. Mark Twain was an occasional resident here. The adjacent Georgian Revival Glyndor House was constructed by the Perkins family after the original Glyndor was struck by lightning in 1926. The Morris-Jumel Mansion, Edgecombe Avenue and West 162nd Street in Sugar Hill, was built around 1760 by a British colonel, Roger Morris. 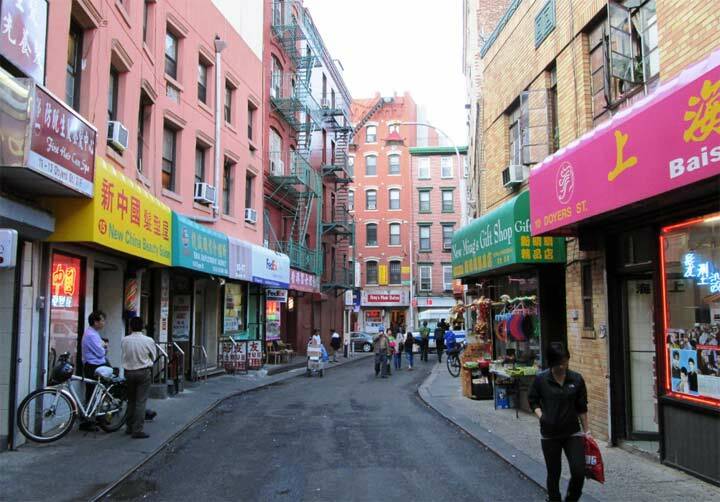 It is the oldest remaining building in Manhattan that was built as a residence. Morris’ estate, Mount Morris, covered a vast amount of Harlem acreage, some of which would become Mount Morris Park, now Marcus Garvey Park. 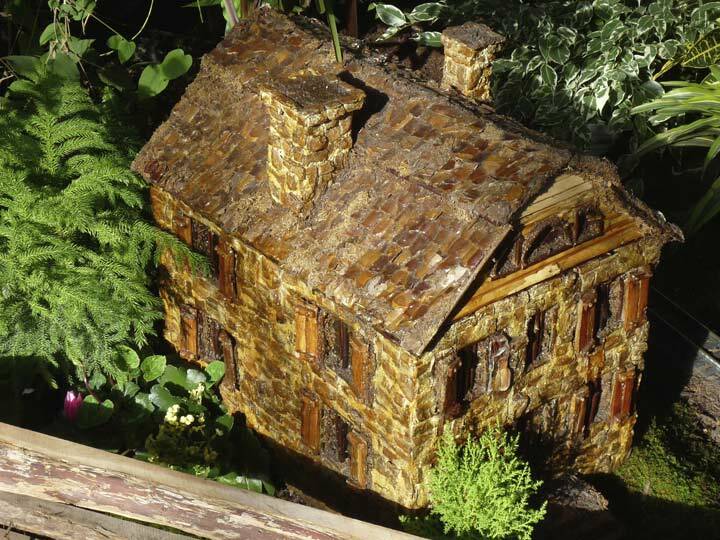 During the war, Morris, a loyalist, was forced to vacate the mansion and return to England; it then became a headquarters for George Washington in the autumn of 1776. While President in 1790, Washington had a formal dinner in the mansion with Veep John Adams, his son and future President John Quincy Adams, Thomas Jefferson and Alexander Hamilton. After passing through several owners, the mansion was purchased in 1810 by a wealthy French emigrant, Stephen Jumel, and his wife Eliza. They redecorated the house in the French Empire style it retains today and imported furniture; a bed purportedly owned by Napoleon can be found in the Mansion. Jumel also planted a number of cypress trees south of the mansion that were brought from Egypt by the French emperor. After Jumel’s death in 1832, Eliza married former Vice-President Aaron Burr, who is probably better remembered today for killing Alexander Hamilton in a duel in 1804. Their marriage was stormy and brief, and after their divorce in 1834, Eliza occupied the Mansion until her death in 1865 (she is entombed in nearby Uptown Trinity Cemetery). Some say her sprit is in the house, since the ghost of a well-dressed woman in the fashion of the time has occasionally been spotted in the halls by those who believe in such things. 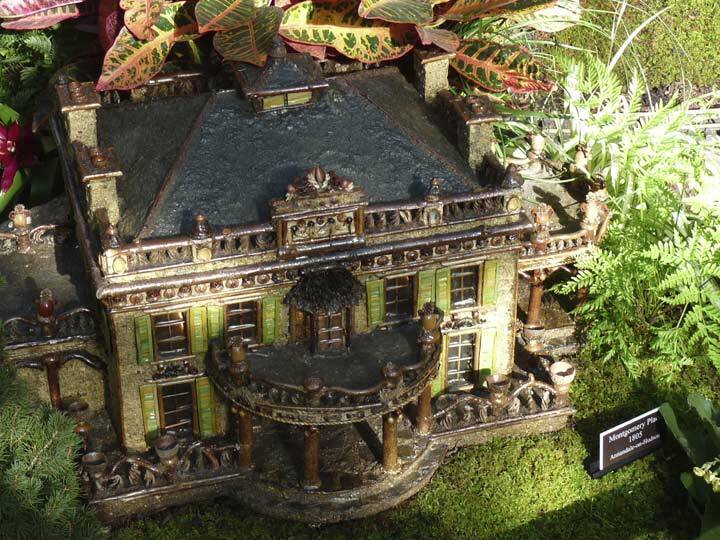 The Mansion has been preserved as a monument since 1904. 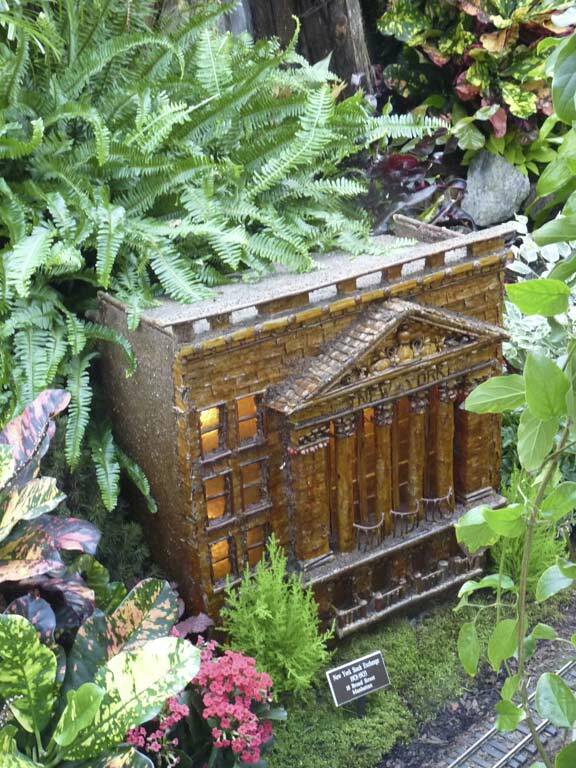 Continuing the Train Show’d greatest hits of NYC buildings, this is a rendering of the 7th Regiment Armory on Park Avenue between East 66th and 67th Streets. New York City still has a handful of imposing stone armories scattered around town, and the 7th Regiment Armory, completed in 1879 by architect Charles Clinton, with additions in 1909 and 1931 might well be the most fascinating. 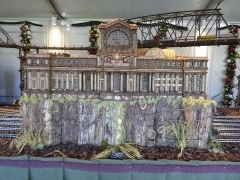 The armory is the only remaining building in the country constructed using a wrought-iron truss system developed by Robert Griffith Hatfield, and its design, consisting of the Administrative Building and 50,000-square foot Drill Room, was inspired by the original Grand Central Depot on 42nd Street. The Drill Room was built to withstand the footfalls of thousands of drilling soldiers and has contained crowds numbering in the thousands and even Army tanks. The armory’s 14 first-floor rooms feature interior decoration that has been called “the single most important collection of nineteenth-century interiors to survive intact in one building” by Kevin Stayton, curator of decorative arts at the Brooklyn Museum of Art. The entrance gate on Park Avenue is wide enough to allow four-abreast marching formation through the massive oak doors. Just inside you will find halls lined with military-themed exhibits; the halls are leased for use by antique and book fairs. The more lavish rooms, designed by Louis Comfort Tiffany and Stanford White, are closed to the public, but are used by corporate-sponsored events. The Park Avenue Armory (as it is now officially known) in recent years has hosted concerts. The Hurst-Pierrepont Estate in the Hudson River town of Garrison, 50 miles north of NYC was built for U.S. Attorney General Edwards Pierrepont (1817-1892), a descendant of James Pierrepont, a cofounder of Yale University; another relative was Hezekiah Beers Pierrepont, who developed much of what became Brooklyn Heights in the colonial era — Pierrepont Street was named for him. The estate was designed by architect Alexander Jackson Davis, who should not be confused with Alexander Jackson Downing, though the two did collaborate on some projects. 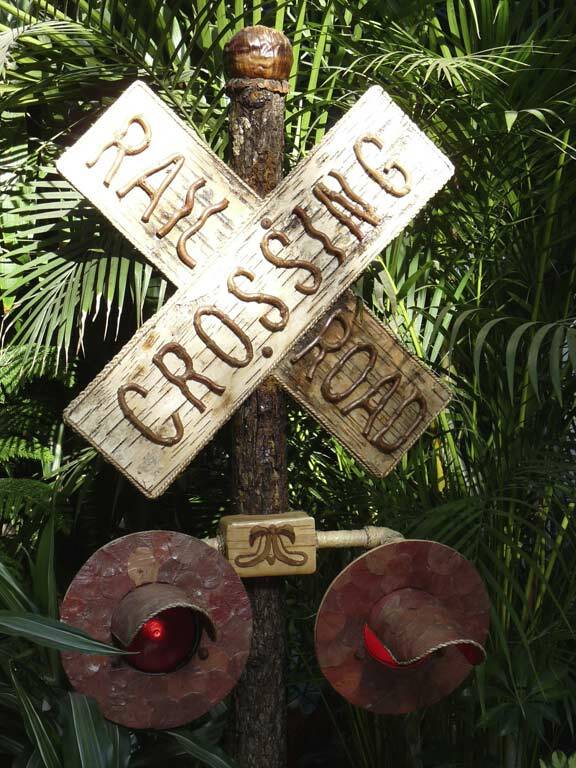 FNY readers know this site is dedicated to “the infrastructure of a lost metropolis” and I appreciate the little minutiae, like this RR X-ing crossbuck rendered completely in wood with some metal for the lighting. 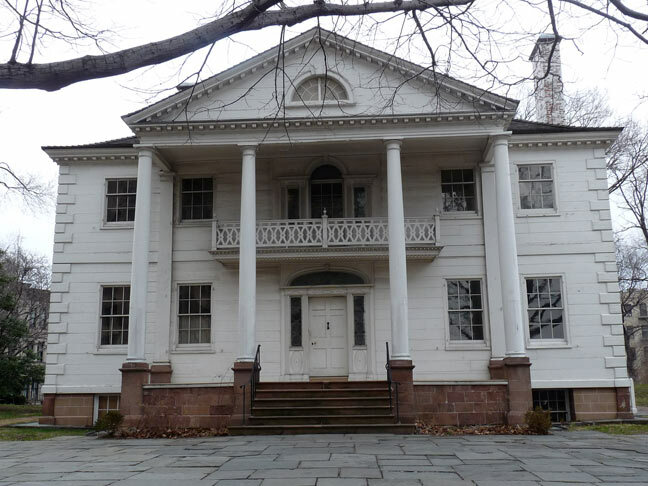 Washington Irving has been mentioned before, and here is his home, Sunnyside, in Tarrytown, Westchester County. The estate goes back to the late 17th Century. 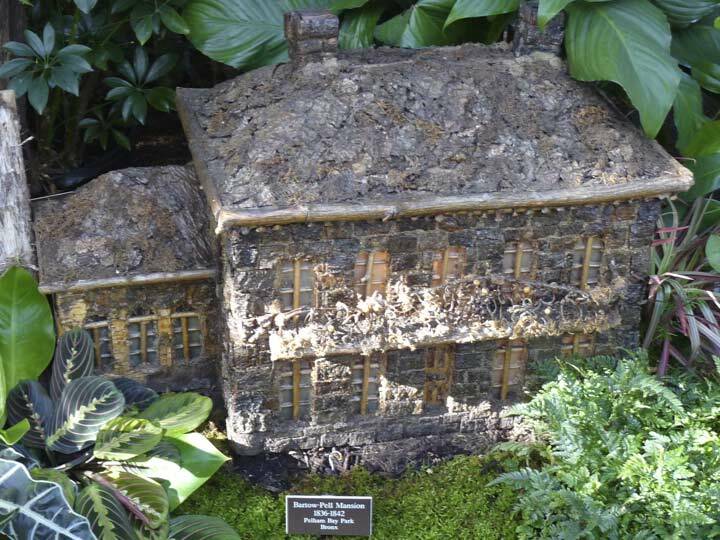 Irving purchased the property for $1,800 in 1835 and greatly expanded the previously modest stone dwelling. Prior to that, during his literary career, Irving had boarded with friends in an era before apartment houses. A trip to the Midwest convinced him to acquire property of his own. Though Irving never married or had children, the home was always bustling with his friends from the literary world and various relatives. He died of a heart attack in the house in 1859 at the age of 75. Sunnyside remained with Irving’s relatives until 1945 when it was sold to John D. Rockefeller. It was opened to the public for tours two years later, and became a National Historic Landmark in 1962. A Riverdale touchstone is its 500-ton bell tower built by architect Dwight James Baum, who built over 100 residences in the area as well as the unusual YMCA building on West 63rd Street near Central Park. Located at the confluence of Riverdale Avenue, the Henry Hudson Parkway and West 239th Street, it was moved from its original location 700 feet to the north when the Parkway was constructed in 1936. The tower was built to house a Spanish bell cast in 1762 for a Mexican monastery, captured as spoils of victory during the Mexican War (1846-1848) by General Winfield Scott. The bell was originally placed in the fire lookout tower at Jefferson Market (6th Avenue and Christopher Street in Greenwich Village) then at a now-demolished Riverdale firehouse. It attained its final home here at the tower in 1930. I have photos of both Lyndhurst (above) and Sunnyside I took on a day trip I took in the 1990s, as the two landmarks are close to each other, but today I’m way too lazy to hunt them down and scan them. The castle-like mansion was designed by Alexander Jackson Davis for NY mayor William Paulding (who, like other 18th and 19th Century NYC mayors, has an avenue named for him in the Bronx) in 1838. Lyndhurst was doubled in size by merchant George Merritt in 1861. 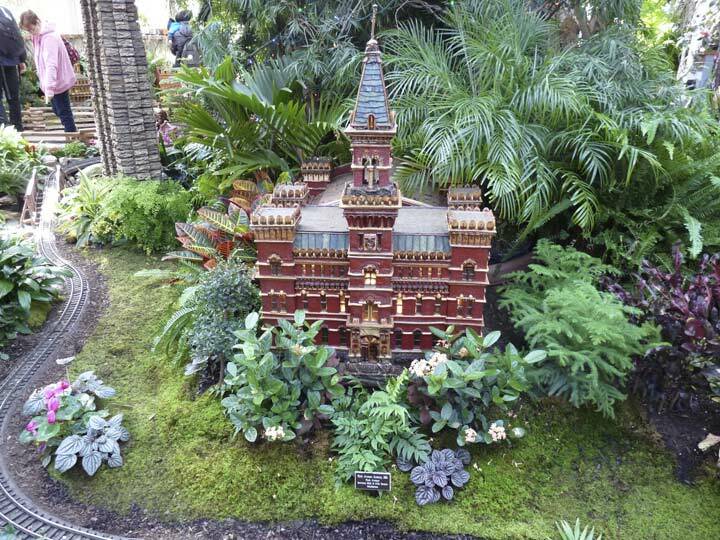 It was purchased by “robber baron” financier Jay Gould in 1880, who gave it its current name. 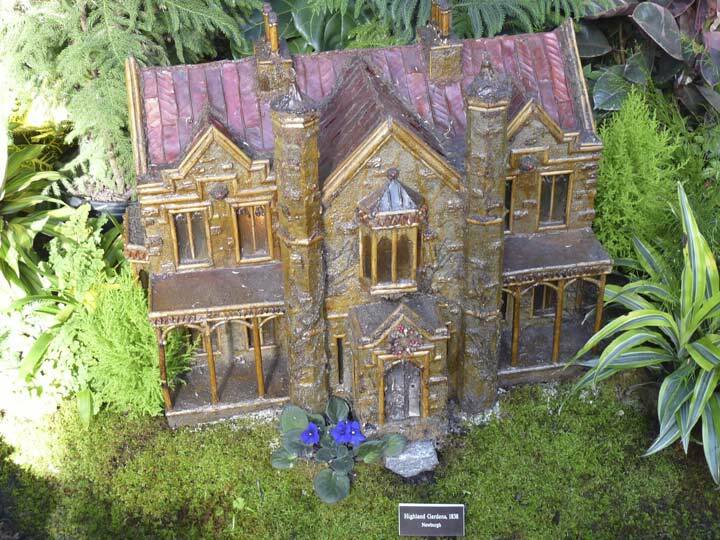 It was donated by his daughter Anna to the National Trust for Historic Preservation in 1961. Completed in 1883, the Brooklyn Bridge connects the boroughs of Manhattan and Brooklyn by spanning the East River. 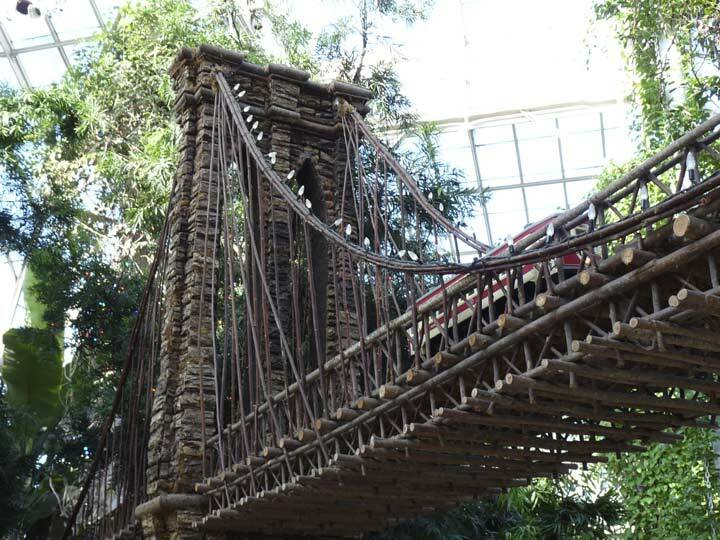 With a main span of 1,595.5 feet, it was, for a time, the lengthiest suspension bridge in the world. The bridge was initially designed by John Roebling, who had completed shorter suspension bridges elsewhere, including the Roebling Suspension Bridge in Cincinnati, OH, which resembles the Brooklyn Bridge. Roebling sustained a severe injury on the waterfront that caused him to contract tetanus, which resulted in his death. His son Washington Roebling took over as overseer, but he too sustained an ilness, contracting the bends, a painful condition that may bridge workers in the caissons on the river bottom suffered caused by too many nitrogen bubbles in the blood during aspiration. Washington Roebling enlisted his wife Emily to bring written instructions to the waterfront construction area while he observed with a spyglass. in the past when it was difficult to get clean, fresh milk, before the age of pasteurization. City children were sickened, some to death, from tainted milk. In both Central Park and Brooklyn’s Prospect Park, facilities were set up that allowed people to obtain milk from authorized producers back when every nutritionist in the world swore that whole milk was good for you (now they say skim milk is the only way to go). 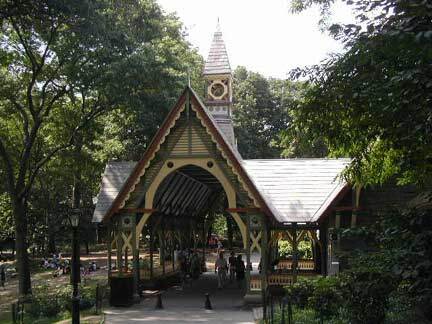 Central Park’s Dairy was designed by Calvert Vaux and built in 1870, and is the hub of the park’s Children’s District: the Zoo is to its east and the Carousel is to its west. The Victorian Gothic building added coffee and sandwiches to its repertoire and was a lively gathering place until the early part of the 20th Century. Then the rot set in, accelerated by the Depression; the decaying Dairy was used as a storage shed by the 1950s. The Central Park Conservancy succeeded in restoring the Dairy to its former glory by 1980 and today it serves as the park’s Visitor Center, though you have to go elsewhere in the park for milk or other beverages. 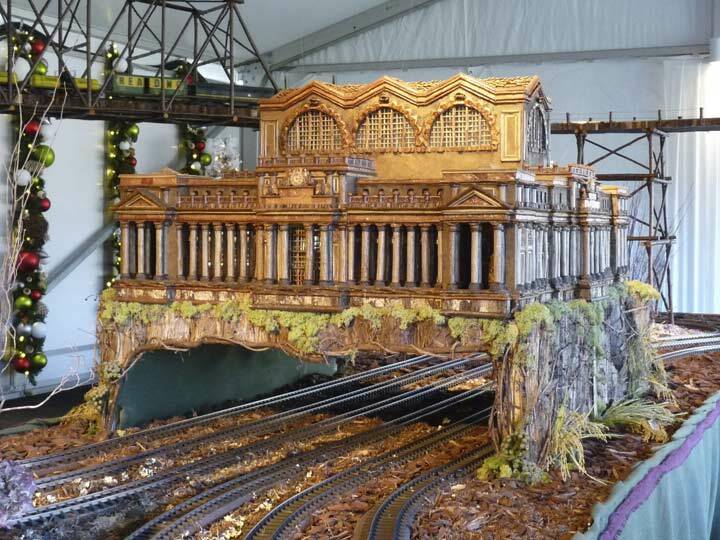 The Trains Show, as you may expect, had a large representation of Grand Central Terminal. 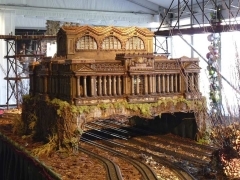 On the occasion of its centennial in 2013, classic trainsets from all over the country were exhibited there in what was known as the Parade of Trains. As many know GCT was built in 1913, replacing an earlier edifice built in 1871 and demolished in the early 20th Century after a 1902 train crash in smoky, outmoded tunnels. Like Penn Station it was allowed to deteriorate over the decades until demolition was proposed in the 1970s. GCT found an angel in Jacqueline Kennedy Onassis, who led an effort to preserve and update it. Work was underway during her death from cancer in 1994. 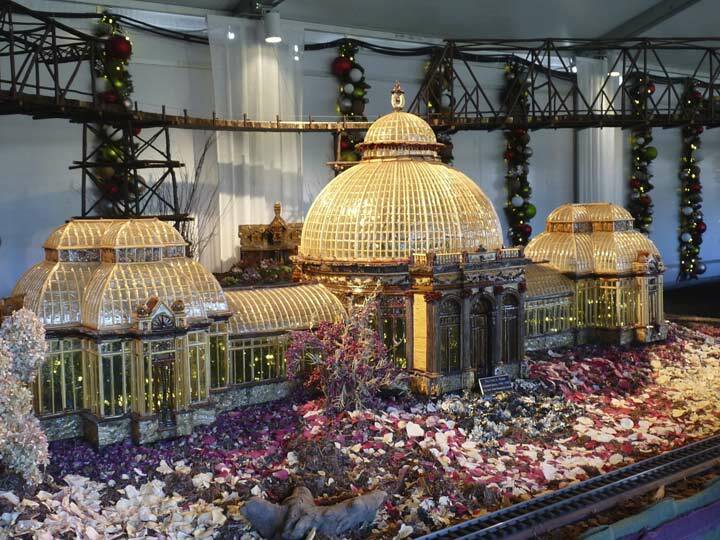 The Enid Haupt Conservatory, in which the Train Show is held every year. 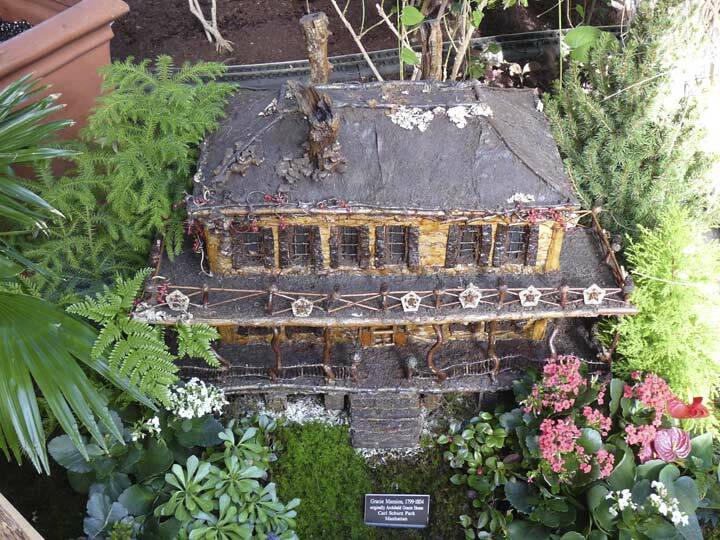 The greenhouse was constructed in 1902 and had multiple renovations and additions over the years. 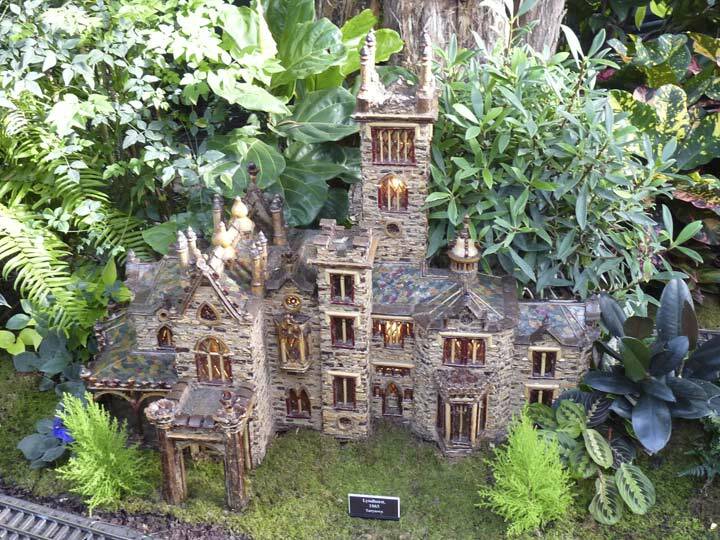 Like many other buildings in NYC, the Conservatory was severely rundown by the late 1970s and required a $5 million donation by philanthropist Enid Haupt, and the Conservatory henceforth bore her name.